Rubicon Ranch: Riley’s Story is the first collaborative novel written by the authors of Second Wind publishing. You can find the first chapter of Rubicon Ranch: Riley’s Story here: Chapter 1: Melanie Gray — by Pat Bertram and the rest of the chapters you can find here: Table of Contents. If you prefer to read Rubicon Ranch: Riley’s Story in your ereader, you can dowload the book free in the ebook format of your choice from Smashwords. Rubicon Ranch: Necorpieces is the second collaborative novel written by the authors of Second Wind publishing. You can find the first chapter of Rubicon Ranch: Necropieces here: Chapter 1: Melanie Gray — by Pat Bertram and the rest of the chapters you can find here: Table of Contents. If you prefer to read Rubicon Ranch: Necropieces in your ereader, you can download the book for 99 cents in the ebook format of your choice from Smashwords. Pat Bertram is a native of Colorado. When the traditional publishers stopped publishing her favorite type of book -- character and story driven novels that can't easily be slotted into a genre -- she decided to write her own. 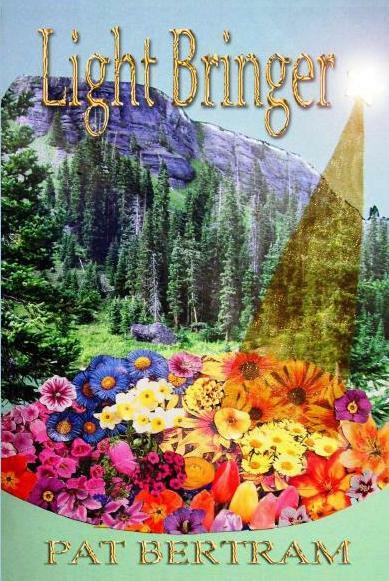 Light Bringer is Bertram's fourth novel to be published by Second Wind Publishing, LLC. Also available are Daughter Am I, More Deaths Than One and A Spark of Heavenly Fire. An author since age seven, J J Dare fondly recalls her first book and its “A+” review from her second grade teacher. Love for the amazing worlds the written word opens up keeps Dare writing. With two published novels under her belt, False Positive and False World, Dare continues to write thrillers and mysteries, with occasional romances, fantasies and dramas thrown into the mix. Mickey Hoffman was born in Chicago, and attended public schools where she acquired the strong suspicion that some of her teachers might be human. She wasn't able to prove this fanciful thinking until much later, when she became a high school teacher herself. Mickey is the author of School of Lies and Deadly Traffic. Lazarus Barnhill, author of The Medicine People and Lacey Took a Holiday, is a native of Oklahoma who has lived all over the south. He holds three degrees, including a Doctorate in Spiritual Development. He has been obsessed with writing since he was a boy. A father of three and grandfather of three, he resides in North Carolina with his wife of 34 years. Claire Collins began telling stories as soon as she learned to talk, and she hasn't stopped telling stories—or talking—since. After decades of writing in the closet, Claire became one of the very first authors published by Second Wind. Claire is the award-winning author of Images of Betrayal and Fate and Destiny. All writing on this website is copyrighted and cannot be quoted, copied or reposted without permission.